One place to start updating your kitchen is the kitchen backsplash above your stove, range and high traffic areas. Pick a visually functional and long-lasting design choice to ensure low maintenance costs, but don’t let that stop you getting creative! No matter what design you choose, you can customize it to your own needs. 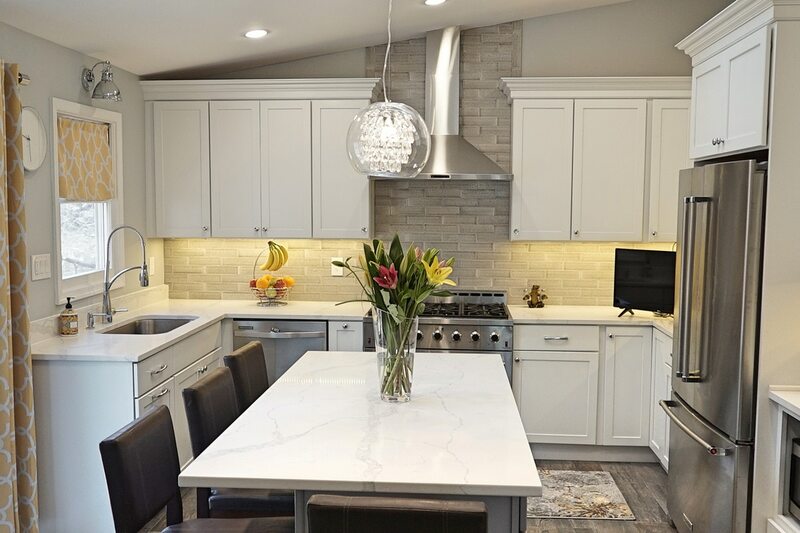 For 2019, consider going for the classic-and-timeless look of something like a subway tile or a plain, dark natural stone for a single-piece backsplash. Or make a new, bold statement with artisanal tiles. In 2019, you cannot afford to ignore induction cooktops. The induction cooktop technology, much like a smartphone, has become much more mainstream with regular and important innovations. Induction cooktops give you a much larger range of temperatures to work with. While shopping for the ideal induction cooktop, look for products that have precise heating and an expansive but easy-to-use menu which can be customized as per your needs. Looking to update your kitchen cabinets? 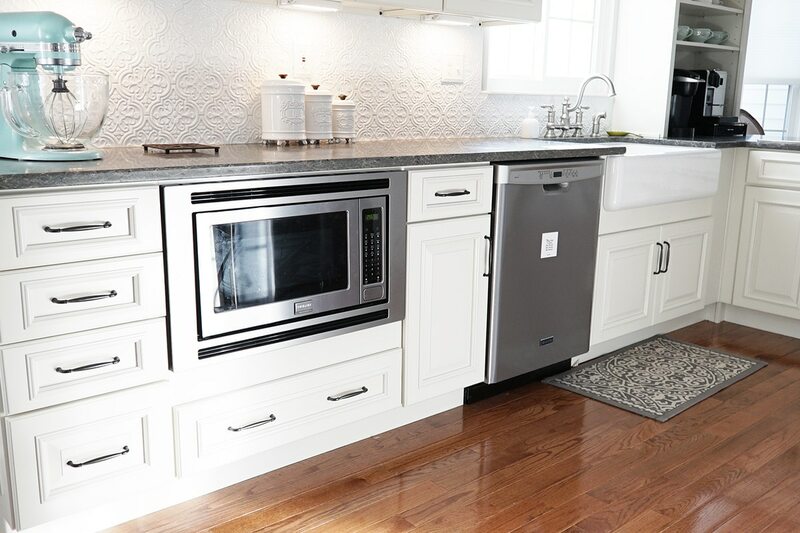 Try a number of options, whether your budget keeps you designing a custom kitchen, or you decide to purchase Ready to Assemble cabinetry, have you fun with the style, but also remember the most important elements of your kitchen, storage and flow. When updating your kitchen cabinets, don’t forget to add storage options to your kitchen island and make it more versatile to suit your needs. Add an electrical outlet to double up as a workstation. Add some books in one of the shelves. Kitchen islands are no longer a monopoly of the big, expensive kitchens. With the right planning, they can make a huge difference to even the smallest kitchen space. It’s 2019 and it’s time to go beyond standards definition of storage spaces. Opt for one of the best design trends of the year; open shelving. In kitchens with limited sources of lights, open shelves compliment the natural source of light to make the kitchen look brighter and bigger. Beyond updating your kitchen cabinetry, another item that become outdated is your kitchen countertop. Updating your countertops can be an excellent way to bring a fresh, modern, and up-to-date look in your kitchen. A natural material like granite works like a charm for countertops as they are heat resistant. Along with updating kitchen cabinets and countertop space, new hardware is essential to completing the look. A combination of metals and non-metals can add a vibrant and personalized touch to your updated kitchen. 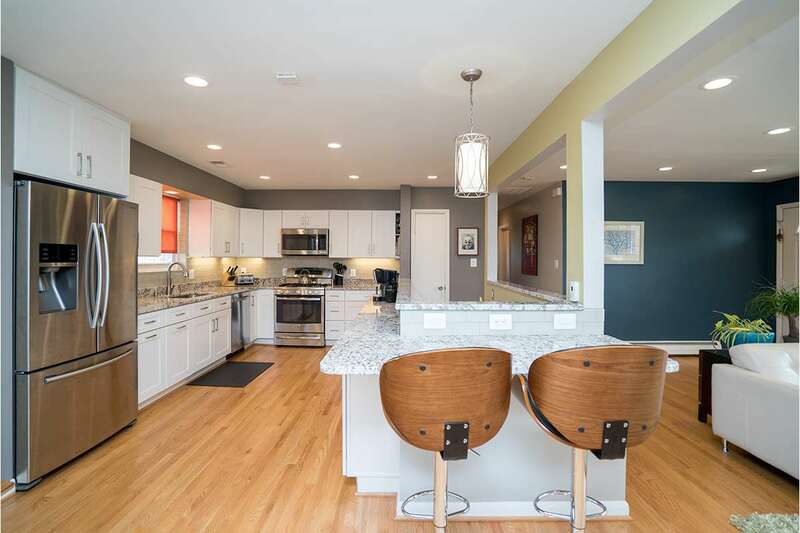 Feeling inspired to update or remodel with you kitchen this year? Browse through our website or blog for more inspiration!